The Iron Springs realignment project was completed on Tuesday. This stretch of highway was revised from two-lanes to four-lanes; easing travel on Highway 9 between Frisco and Breckenridge. The nearly $23 million project realigned the highway from the Frisco medical center to Summit High School. The old section of highway that runs along the shore of Lake Dillon will now become part of the Summit County recreation path. Paving finished last week but crews still have to place some final touches on the road. During a ribbon-cutting ceremony Tuesday afternoon, local state and federal officials praised the spirit of cooperation that guided the project to completion. The Iron Springs realignment was made possible by a cost-sharing arrangement that has local governments kick in around 20 percent of the cost. 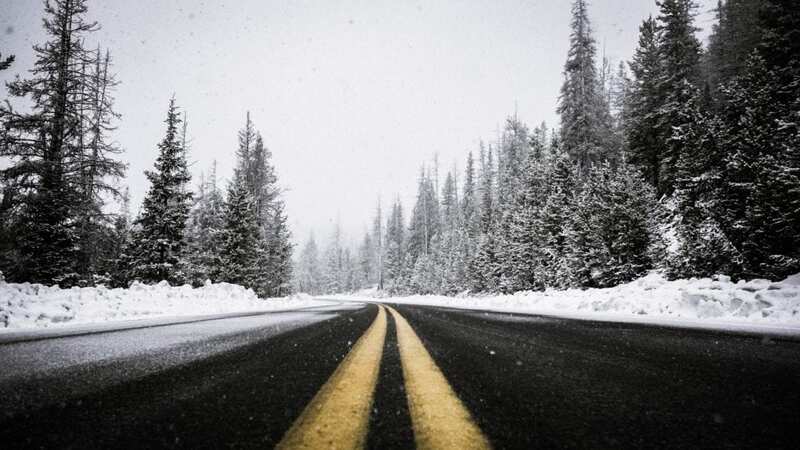 The Summit County government, Breckenridge and Frisco each pooled more than $300,000 in matching funds for the Colorado Department of Transportation (CDOT) to get this project completed. When the project was hit with cost overruns, Vail Resorts pitched in too. The Iron Springs realignment project has been more than a decade in the making. With the population of Colorado growing at a significant rate – 100,000 annually in recent years – many of the roads throughout Summit County have been affected by the inflated guests. A major goal of this project was to respond to the extra congestion more traffic has caused and eliminate a two-lane choke point around “Leslie’s Curve”. Famously named after the former owner of Frisco’s Log Cabin Café, Les McMacken, who totaled his Cadillac rounding the bend in the 1960’s. The new highway alignment shaves a half-mile off the Highway 9 route between Breckenridge and Frisco. It also moved the bike path to the lakeshore. The new bike path, which roughly swapped places with Highway 9, now runs along the shores of Lake Dillon, offering a breathtaking view for cyclists. This has many residents and visitors excited. We have to say, after about 2 years of construction – we are also excited to have the road back to normal. Looking for more information about how you can make living in the mountains a reality? Contact us today and speak with a Broker professional who can help!